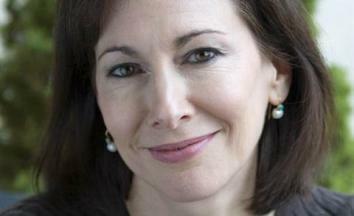 Dear Prudence: Emily Yoffe on the joy of giving advice and why she is drawn to dysfunctional families. The outgoing Dear Prudence on the joy of giving advice and why she is drawn to dysfunctional families. Emily Yoffe: For the many years I’ve been doing this chat, I have almost always opened with, “I look forward to your questions,” and I end with, “Talk to you next week.” I do look forward to your questions, but we won’t be talking next week. As Slate has announced, this is my last week as Prudie. I will be saying more in a farewell column, but the short of it is: It was time. I will be going to the Atlantic to write for the magazine about culture and society, and I am excited for this next adventure. Doing this column was one of the great thrills and honors of my life, but after almost 10 years, I felt you needed a new Prudie. The good news is that you’ve got one. Mallory Ortberg is the next Prudie. Mallory is a best-selling satirist (Texts From Jane Eyre), and she has even written a hilarious sendup of this column. She is a feminist entrepreneur, having founded her own wildly successful website, the Toast. She is young (28!) and will bring a fresh new voice to this column. She’s an inspired choice, and I look forward to reading what she does as the new Prudie. Q. Sad to See You Go: I’ve never written in, but I’ve been a huge fan of the column for the past six years and often think, “What would Prudie say?” when I’m faced with a conundrum in my personal or professional life. I’m sad to see you go, but I’m sure you’re leaving the column in good hands. Hope you enjoy the next chapter, and thanks for all the advice you’ve given us all over the years! A: Thank you so much. (I do have regular questions in the queue, but I might take this opportunity to wallow in readers’ kind—and maybe critical!—words.) It’s funny you say you’ve thought, “What would Prudie do?” when presented with life’s dilemmas. I once was complaining to my sister about someone who I felt had been rude to me, and she said, “What would Prudie do?” I answered, “I don’t care what she would do! I’m mad, and I want to stomp my feet.” But then I realized what I would tell myself if I were writing a letter to Prudie. So I calmed down, realized this slight was inadvertent, and went to the person and smoothed things over. I will try to keep in mind the lessons I learned in writing the column! Q. Thanks, Emily: Oh, Emily, I thought we’d grow old together! It has been such a pleasure reading you. I think I’ve read all your posts. You’re feisty, funny, and sympathetic. I’m so sad about you leaving. You are Dear Prudence. Where can we read you next? I love you, Emily. I wish you success in all your plans. Till we meet again! A: I don’t have emoticons for the chat, but if I did it would be the smiling face shedding a tear. Thank you. The funny thing about this column is that even though we all don’t actually know one another, we feel as if we do. I appreciate your good wishes, and I know you will be in good hands with Mallory. A: Maybe I should loan Mallory my scarf collection. I have given private scarf-tying instructions to readers who wrote asking me how I did it and told readers where I purchased particularly striking scarves. And I love the purple tie-dyed scarf that people recently mocked, and I will continue to wear it! Q. Re: Sad to See You Go: So when do we get the Letters Too Wild for the Column! book? I’ll preorder right now. A: Ha! There are no letters too wild for the column. Wild letters always made it into the column. What was left out of the column were the thousands of letters over the years that were just too sad for the column. Not that I didn’t run heartbreaking letters. But there were so many letters written late at night that were a catalog of despair from people in desperate situations hoping that a stranger on the Internet could help them. To those, I always tried to answer personally and direct them to some sort of social services or give a few words of comfort. Often, these people wrote back in gratitude that I had simply listened (because I certainly couldn’t offer anything to solve their problems). So many people don’t even have someone who will listen. This was the hard part of this column—having this window into how much pain there is in the world. Q. Thank You, Emily: You answered a question for me about my sister’s misbehaving dog four years ago, and I have always appreciated that you took the time to answer my question with a thoughtful and objective insight. I have been a faithful reader for five years, and I will be forever grateful for the weekly insight, wisdom, and entertainment provided by your column. I look forward to reading your columns for the Atlantic! The next Prudence has BIG shoes to fill, so best of luck to her as well! Thank you, Emily! A: I love hearing from people whose questions I answered and who were helped. Yay! I don’t know what I told you about your misbehaving dog, but that was one of those answers that goes under, “Advice columnist, heal thyself.” I had a misbehaving beagle for 10 years, and from the time we got her until the end, she peed all over the house. Q. You’re the Only Columnist Who Understands Dysfunctional Families: The biggest loss for me will be the perspective you bring to those of us who come from dysfunctional families and are not jumping on the forgive-and-forget bandwagon but choose to estrange ourselves for the sake of our own self-preservation. That will be sorely missed by me, as the “bad daughter.” I guess I’m on my own now, but I will always remember your understanding on this issue and your words. A: I did carve out a kind of specialty regarding such families. It’s true that I took a hard, critical look at forced forgiveness. I am not against forgiveness! But too many people are bullied into it. I also disagree that without forgiveness one is stuck. No, it’s perfectly possible to not forgive but to also accept what happened and move on. I also believe that the first step toward forgiveness is sincere acknowledgment and apology on the part of the wrongdoer. In the case of abusive parents, it turns out that people who abuse their children tend not to be the people who apologize for it. As you note, I have often written that sometimes, for the sake of one’s mental health, the only solution is to cut off contact. Q. WWPD? : I wanted to thank you for making me (at least appear to be) a better, more thoughtful, and empathetic person. I’ve channeled your spirit when others have come to me with a conundrum or with an issue of my own. My sister even complimented me for my thoughtful wisdom, but it was all you. You’ll be missed. A: I’m tearing up. No, it was all you dispensing that wisdom. But thank you for thinking I gave you a helpful nudge. Q. Love From India: I am 31, and it seems to me that I have been following your column for the past seven years. In case you don’t know, you have a good following in India as well; my wife, some of my closest friends, and I all love your columns and of course your responses in the Dear Prudence segment. I feel so sad to see you go, but at the same time I know that all good things must come to an end! I wish you all the very best in whatever you do. Good luck! A: Thank you, and you bring up a point about one of the great pleasures of my column. I always looked forward to the holidays because I got to dispense weeks of advice about Christmas—how I loved that people turned to a Jewish advice columnist to sort out these dilemmas! I did have many letters written from people in other countries or who had problems based in issues of religion and culture and who felt this Jewish American could help them sort it out. That was very moving to me. Q. Thank You for This: I found at the core of all your advice, now that it feels like time to sum it up, this: Don’t ignore or surrender your own agency. Thank you! Yes, I buckle my seat belt without worrying that reckless speeders will mistake this for permission to maim and injure the unbuckled. I think you were right about everything you said for which that’s a metaphor. I even enjoyed reading the rare answers I didn’t empathize with. Have a wonderful life. A: This. Thanks for getting me. Read Part 2 of this week’s Prudie chat.